The 27th Philadelphia Film Festival has come to an end. The 10-day journey has given me great pleasure, and watching seven excellent films in a roll was undoubtedly one of the best experience I have had this year. 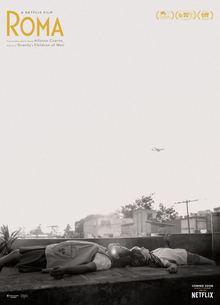 “Roma” (2018) by Alfonso Cuaron was the third movie on my to-watch list for the festival. I had heard several positive recognitions regarding this black-white film beforehand, and it turned out to be as beautiful and epic as I expected. Focusing on Cleo (Yalitza Aparicio), who works as a maid for a middle-class family in the 1970s Mexico, “Roma” takes us through the important years of Cleo’s life and uses it as a lens to reflect the larger society and people’s living status in general. Since Mexico had undergone major political shifts and revolutionary movements around the year 1971, the film gives us a sneak peek into the holistic social life while telling Cleo’s story at the same time. According to Cuaron, the story is mostly based on his childhood memories in Mexico City, and it took him almost 10 years to finish this beautiful piece of work. Every slice of emotion, therefore, was delicately developed and fermented before being shown to the world. “Roma” depicts intimate and realistic family relations. Cleo always keeps a good relationship with every single family members she serves, and they consider her as part of the family. In most parts of the film depicting family life, the cinematography focuses on medium shots — the shots that feature characters’ bodies from knees up — accompanied by slow, horizontal panning and deep focus, revealing the family’s daily life bit by bit. We can see Cleo walking in the hallway from one end to the other, with the camera showing the kids doing different things in their respective rooms. In those scenes, Cleo, though located in the foreground, is not in focus, while her background is not blurred at all. Every movement in the background, therefore, is recorded clearly due to the deep focus by the camera. Such deep focus, honestly recording the trivial and daily talks between family members, effectively creates a realistic and sincere depiction of family life and remind the audience of their own homes. “Roma” is about vivid and everlasting city memories. Seeing Cleo running through the streets of Mexico City, happily chattering with her friends, we are led to experience the lively city by ourselves: the peddlers selling accessories crowd together noisily in front of movie theaters; the naughty kids play with each other in the puddles after raining; the moviegoers of Mexico City talk about the film’s plot loudly in the theater, cheering when the protagonist wins. Every sound, every form of nature and beam of sunlight is closely intertwined with the deep memories of the city and the nation. They are permanently existing, something that is beyond the control of human forces; even though the people who perform or participate in these activities would eventually change, these specific moments will always be transcendental, closely bonded with the city’s memories. “Roma” is about how nature and life itself can be interwoven. The film begins with the marble floor washed through with soap water, reflecting the clear sky until an airplane goes roaring across; it ends with the real sky above the family’s house, and again another airplane leaves its trace. According to Cuaron, he tried to create an effect of “heaven on earth,” meaning that the heaven (nature) is tightly connected to the earth (human), and these two will ultimately become one. Throughout “Roma,” we can see three occurrences of natural disaster — earthquake, fire, and ocean waves. They are parallels to Cleo’s life and part of Mexico’s national memories — one example of this simultaneity would be when people from Mexico City experience a moderate earthquake while Cleo is informed of her pregnancy in the hospital; in that moment, she smiles to the newborn babies in the nursing room while everyone else panics and hustles. We can observe how people cope with shared trauma, how they look for help, and eventually move on to another day. The natural disasters are not presented to be fatal at all — when a fire occurs, for instance, Cleo, who is on holiday with the family she serves, calmly carries water barrels to put out the fire, and quickly forgets about the incident and returns to enjoying the break. As we can see, these disasters are merely symbols of how nature and human can interact, how heaven and earth can be closely related, and how nature itself can be related to any form of life, small or magnificent. Conveying so many themes within 135 minutes, “Roma” had a fairly long production process. The film was shot in a chronological order, and Cuaron purposely divided the story up in every single day, and told the cast how the story would develop in the day’s sequence. According to lead actress Yalitza Aparicio, the shooting process felt like “living Cleo’s life all over.” Perhaps that is what Cuaron tried to achieve, because life itself does not have any designed plot and develops without people knowing the entire “story.” Life is unpredictable, but the form of life per se will endure permanently. If it is not for “Roma,” we the audience wouldn’t get to see such natural yet wonderful memories. These memories are great epics that belong to the entire nation, and they are the most intimate past that belong only to Cuaron himself.